Going forward, we expect Disney’s revenue to increase by almost 10% through fiscal 2019. To arrive at our fiscal 2019 net revenue estimates for the company, we have broken down the revenue streams and estimated separately. We have also created an interactive dashboard on What Will Drive Disney’s Near-Term Growth? 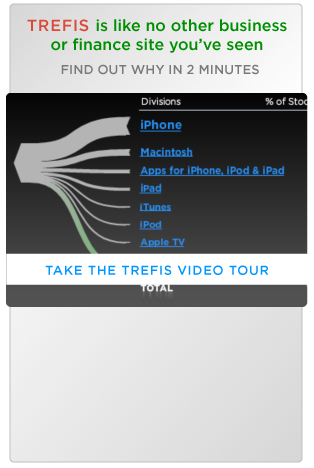 which provides a detailed analysis of how to arrive at this growth number. You can make changes to these variables to arrive at your own revenue estimates for the company. Disney’s stock price has increased slightly over the course of 2018, primarily due to the focus on the company’s new online streaming media service and the acquisition of assets from Fox. We have maintained our long-term price estimate for Disney at $120, which is slightly ahead of the current market price. We expect Disney to see modest growth in the next two years, as it continues to invest in its content and technology. 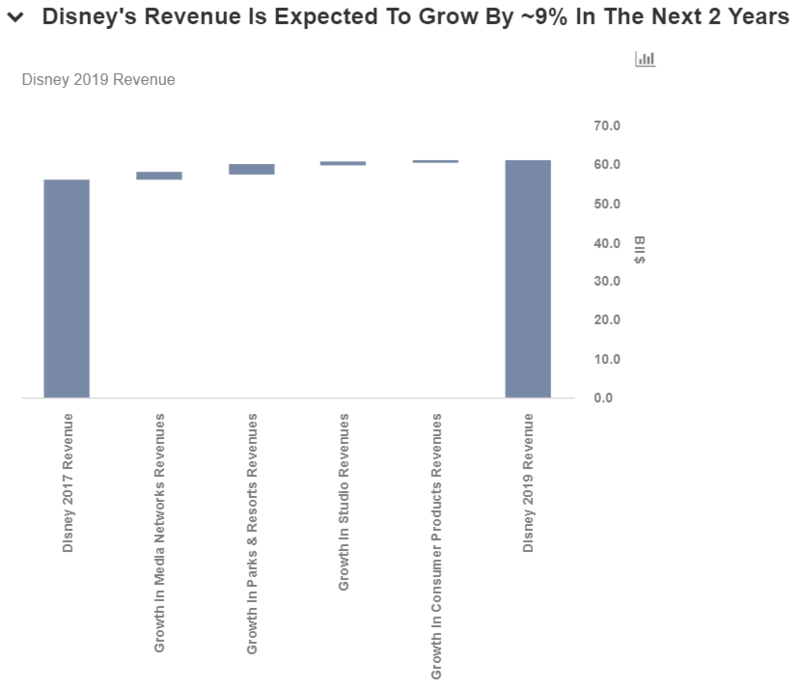 Looking ahead in 2019, we expect Disney to generate around $61 billion in revenues and earnings of around $11 billion. 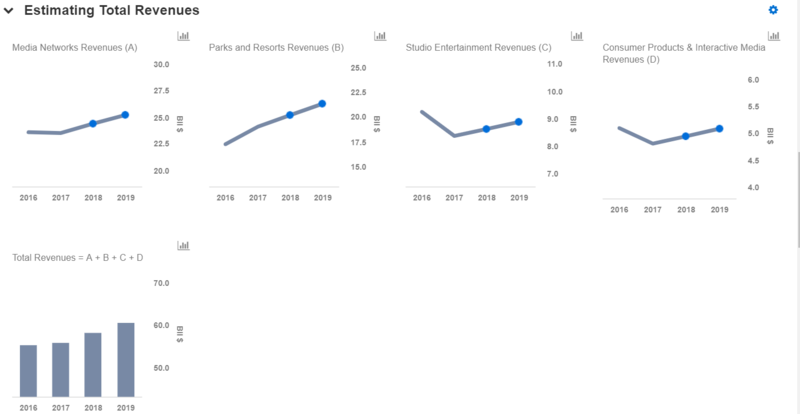 Of the total expected revenues in 2019, we forecast $25 billion in revenues for Media Networks, nearly $21 billion for the Parks & Resorts business, around $9 billion for the Studio Entertainment business, and nearly $5 billion for the Consumer Products division. Overall, we expect Disney’s theme parks to be an important driver for its long-term growth due to its international expansion. At Media Networks, the segment continues to be driven by growth in affiliate revenues, offset by a decline in advertising revenues. In focus of late for Disney is the company’s recently launched ESPN+, which has already gathered more than 1 million paid subscribers, and is expected to drive revenues for the company going forward. Furthermore, the movie content from Fox will help the company compete in the rapidly changing streaming space – where competition now includes companies such as Amazon (NASDAQ: AMZN) and Netflix (NASDAQ: NFLX). The addition of Fox’s movie portfolio would direct more consumers to Disney’s streaming platform, which is expected to launch in 2019, following the expiry of Netflix and Disney’s deal at the end of 2018. With the Fox deal, Disney would also become the controlling shareholder of online streaming service Hulu (with a 60% stake).